In honor of the 20th anniversary of Cartoon Network, The Powerpuff Girls and Champion collaborated to release an exclusive streetwear collection to inspire and empower girls to change the world. This special collection includes bright red pullover hoodies, iconic light cream hoodies, grey crewneck sweaters and joggers with graphics of three super heroines: Blossom, Bubbles and Buttercup and of course the Champion logo. The sleeves feature either the image of the Champion script logo or The Powerpuff Girls. The matching hoodie and jogger sets arrive in gray and red. You can choose between grey sets and red pieces, or even better, get both! If you are not a fan of hoodies, their Champion crewneck is a great pick for you. This grey crewneck comes with Powerpuff Girls dancing around the Champion logo. It is simple, casual, super comfy and adorable. What’s more? Why not get a pair of sweatpants to compliment your grey crewneck? The Champion logo goes down the right thigh along with the three super power cuties circling the logo. The Powerpuff collection is available online now, and to all you Powerpuff Girls fans: You can’t miss this super duper cute collection! So go grab your Powerpuff looks today, celebrate girl power, and beat villains together. B-ball, Shooting Hoops … or simply basketball. It’s global and is a popular sport for all ages and it has a long history in the United States … all the way back to the NBA being born in the 1800s. Damn, that’s old! But everyone loves basketball, and so do we! One of Lula 101’s most popular brands is Rastaclat, and they show their b-ball love by celebrating the positive impact NBA athletics have had both on and off the court. Now, with their limited-edition 2019 all-star weekend bracelet and other bracelet collections of NBA teams, Rastaclat has made a slam dunk. So let’s take a closer look at this exciting limited-edition first and feel the positive vibes together! In the past, Rastaclat produced many bracelets for fans of NBA teams, including Los Angeles Lakers, Golden State Warriors, Chicago Bulls, Miami Heat, Charlotte Hornets and Cleveland Cavaliers..etc. And now they have launched their newest 2019 All Stars NBA bracelet in February. And it rocked our fans again. This black-braided bracelet features North Carolina’s host city, the Charlotte Hornets, in purple-and-teal colorways, and featuring enamel hardware with the official 2019 All Star game emblem. It is packaged in a limited-edition blue box with a NBA logo and host city name emblazoned upon it. As with other Rastaclat offerings, other NBA teams feature their team logo and t exclusive team header card. One size fits most wrists. Rastaclat bracelets are supreme quality and completely unique in style. Their adjustable slim designs are easy to wear and easy to rock, while always living up to Rastaclat’s goal to spread love and positive energy. Whether you want to give your NBA bracelet to someone worthy, or show your own style sense, here is your chance to share your favorite team in style. Chinese New Year is here, so celebrate together with Lula! This is the most festive and popular holiday in Asia Pacific regions. The festival is usually referred to as the “Spring Festival” in modern China, and is one of several Lunar New Years celebrations in Asia. In Chinese Lunar calendar, there are different animals for different years. 2019 is going to be the year of the pig, starting from February 5, 2019 (Chinese New Year) and lasting to January of 2020. The pig is the twelfth in the 12-year cycle of Chinese zodiac sign. The Years of the Pig include 1923, 1935, 1947, 1959, 1971, 1983, 1995, 2007 and 2019. Chinese New Year represents the end of the past year and also the beginning of the New Year. We are excited to get rid of our worries and troubles in the past and start to move forward and work hard. As the leading apparel distributor in Asia Pacific, with many cool American streetwear brands such as Odd Future, Rastaclat, Reshoevn8r, The Hundreds and Thrasher, Lula101 provides our excellent SERVICE, STYLES and plus SMILES to all our customers in Asia Pacific markets, including Taiwan, Philippines, Thailand, China, Hong Kong, Indonesia, and Malaysia. We are proud that we not only offer the coolest streetwear and accessories from the U.S., but also lifestyle and positive spirits worldwide. In this special holiday season, we wish you a Happy Chinese New Year. This year will be a best year of fortune and luck! May the new Golden Pig year bring you wisdom, happiness, health and prosperity. Odd Future is an American alternative hip-hop group formed in Los Angeles in 2007. The group name, “Odd Future” is the shortened version of “Odd Future Wolf Gang Kill Them All” or “OFWGKTA”. 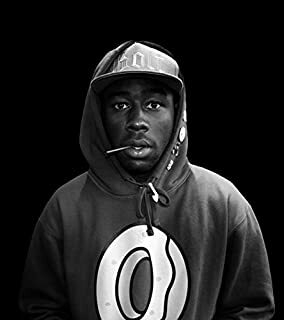 Tyler, the creator who is a founder of Odd Future, also produces an apparel brand in addition to working as a musician and being a celebrity at large. Tyler’s designs first got huge support from the West Coast of SoCal and then became popular everywhere. Tyler, the creator is a man of many talents, just like Odd Future is a brand of many influences. He’s sometimes a rapper, sometimes a record producer, sometimes a music video director, and still other times a fashion designer. What makes Odd Future especially cool are its unique designs. OF often uses distinctive and flashy colors and poppin’ graphics, especially that sick pink donut. Odd Future clothes are always immediately recognized by the letters “OF”, the pink donuts and the great colorways. A lot of donuts on this hoodie! Looks awesome, getting hungry … ! Odd Future is perfect when you want to show your own sense of fashion individuality. Once you dress it on up with this coolest of the cool brands, your style level will rocket. Here are some of Odd Future’s latest and greatest designs. Colorful and functional, just looking at them puts a smile on your face! Want to enter the wonderful world of Odd Future? We’re there waiting for you! Let’s have a look at V/SUAL’s Holiday 2018 collection to give you an idea of the brand’s unique and stylish offerings. Vanasco made his name while shooting street and landscape style photos. He specializes in capturing moments and emotions in a “visual form.” What makes him special is that his photo shoots are heavily influenced by the ’90s skate scene. This brings a very unique and cool street style to V/SUAL. V/SUAL is always creative and bold when it comes to picture and color designs. Given Vanasco’s roots in skateboarding, you can always see cool new decks coming out with different designs and famous street skateboarders from the skate industry, including Joey Brezinski, Matt Miller, Shmatty Chaffin, and Jeremy Murray collaborating with V/SUAL. As a photographer and an artist, he will keep doing what he loves in life, and will do it as much as possible to spread his love and passion in photography through V/SUAL … from the U.S. to the world. Have you ever seen the word OFWGKTA and wondered what the heck it meant? This mysterious acronym stands for ‘Odd Future Wolf Gang Kill Them All’, usually shortened to Odd Future. If we say ‘Odd Future’, then many fans recall hip-hop group, but others recall it as the clothing brand with pink donut. That’s because Odd Future is not only limited to performance group or a streetwear brand. Yup, Odd Future is an American hip-hop collective, which began in Los Angeles in 2007. The ever-famous hip-hop rapper, Tyler the Creator is a co-founder of this dope collective, and other original members are famous too. Frank Ocean, Syd the Kid (my favorite personally), and many other artists have taken an active parts in various fields of the entertainment industry. The One. The Only. Tyler the Creator! As you might expect, the characteristics of OFWGKTA are very clear. Super hip and incredibly unique. And their donut logo showcases the collective very well. Witty, fun and creative. This is THAT famous logo. See that pink donut! Hungry for more?! This donut represents Odd Future, and used creatively in so many Odd Future collections. Also in collaborations. This donut is changed ingeniously with the concept of their new lines or logos of other brands that are collaborated with them. Like this! Can you see that donut combined with the logo of Santa Cruz? From basic items like tees and hoodies to accessories, their merch screams a strong hip-hop spirit. With poppin’ colorways and eye-catching graphics, OFWGKTA’s value is its uniqueness and individuality. 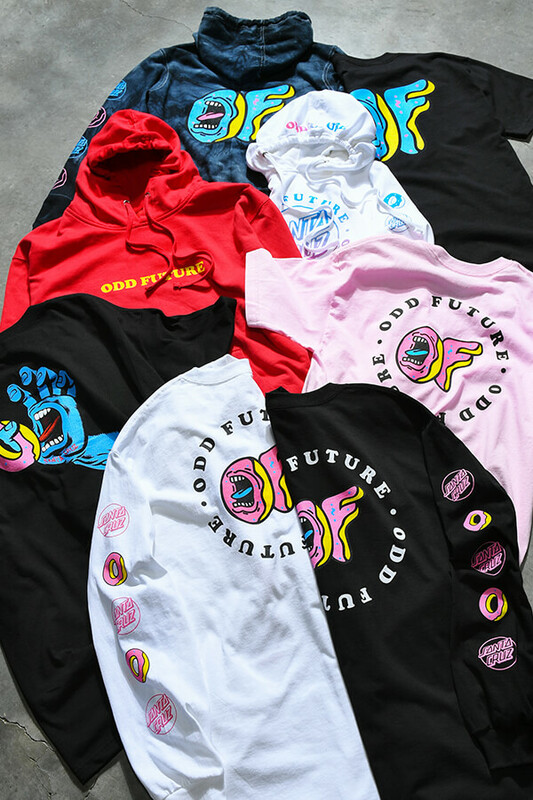 So show your spirit and your own uniqueness by grabbing some donuts from Odd Future! These kicks are high-top with the high visibility that all sneakerheads seek. That’s right, these Lavender sneaks cool your look from the bottom on up. Don’t believe us? … well just try a pair on and you’ll have instant fans. Guaranteed. For even more excitement, check out this sick Lavender Lord Nermal high-top shoes video clip from RipNDip. Too fun. The “beautycore” act known as GFM (Gold Frankincense and Myrrh) has released its new song and music video titled Stuck in my Suicide. If you are fan of bands like Red, Flyleaf, and even The Devil Wears Prada, then you’ll dig this band! Recently, GFM and Fatal clothing had fun destroying some drumsticks at Benchmark Sound Studios! Check out Andy Glass in the new Rock & Destroy Fatal Tee! As you know, he is one of six members of the melodic metalcore group “We Came As Romans,” who released their debut album To Plant a Seed in 2009. Their album, Tracing Back Roots, reached commercial success, peaking at #8 on the Billboard 200 Chart. Still wondering why GFM and Andy Glass can be so cool? You’re in luck today! Just get your hands on some of Fatal Clothing’s new products! Copping this look will def change how you see yourself. Small details make your style rock! And Rastaclat is the best way to detail your looks. So many colorways, so many options … you will find your perfect match. Rastaclat’s seasonal releases includes special styles to help you look your best. Rastaclat recently launched Valentine’s day styles and Chinese New Year’s version, too. Great looks make for great gifts. Pick one for your friends, family, boyfriend, girlfriend … or you! They also have simple ones for that clean, crisp look in many color and style options. You can choose your Rastaclat to go with your style or, plan your look around your Rastaclat. Or, choose a Rastaclat that helps define your kicks like this! So fun to collect a bunch of different styles and colors. These are streamlined looks with elegant colors. And they bring us spring positive vibes. So may choices, it’s hard to choose, right? To make your choices even harder, they have many more styles than what you see here, so please visit their website below to learn more about Rastaclat. Now let’s start spreading positive vibrations with Rastaclat! Are you in?